If, after her death, the Queen Mother had instead passed the castle on to her daughter, would the Queen actually have had the time to spend at the castle, and also oversee it's upkeep? It's quite pretty...probably best it was turned over for preservation and tours etc. The Queen seems quite fixed at Balmoral and Sandringham...doubt she had time for Mey. I'm sure that the entire family has very fond memories of the Castle of Mey. Of being on the Brittania and sailing there and the Queen Mum waving and the ship blaring its horn in greeting. This castle was uniquely the Queen Mother's. It was her sanctuary and one she definitely felt at home at. Scotland was in her blood until the day she died. I do love how she's left it. She found the castle in 1952 shortly after George VI died and saw it was to be abandoned so she "rescued" it. Now its forevermore a part of Scotland and in trust. I see it somewhat like what Charles did for Dumfries House. Like grandmother, like grandson. The Castle of Mey is too remote and location is the most important factor with property. In 1996 The Queen Mother created The Queen Elizabeth Castle of Mey Trust so that Mey Castle could continue in perpetuity for the benefit of the people of Caithness. 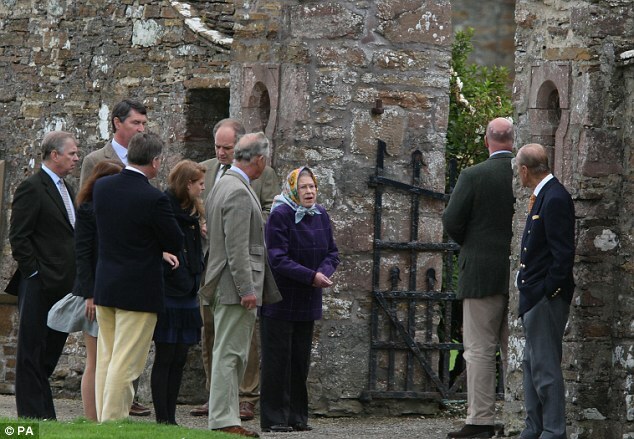 Has it ever been reported that anyone other than Charles and Camilla (and now Harry and Meghan) have stayed at Castle of Mey ? I am sure the rest of the family must have at some point in their lives. Is it true that Charles has to pay and rent out the castle as other do if he wants to stay there? Last week the Daily Fail had a pic of the Queen, the Duke and a group of the royal family at Mey, a couple of years ago. From all I've read, Charles does pay rent when he stays there. He usually stays for a week each year. Anyone can book and stay at the Castle of Mey. I think it would be a wonderful setting for a wedding. There was a big lunch at the Castle of Mey during the Britannia cruise for Anne's 60th and Andrew's 50th. The Queen, Philip, Anne and her husband Tim, her son Peter and his wife Autumn, Andrew and his daughters Beatrice and Eugenie, Edward and his wife Sophie and their children, were all photographed there. Charles hosted - though he was not on the cruise. 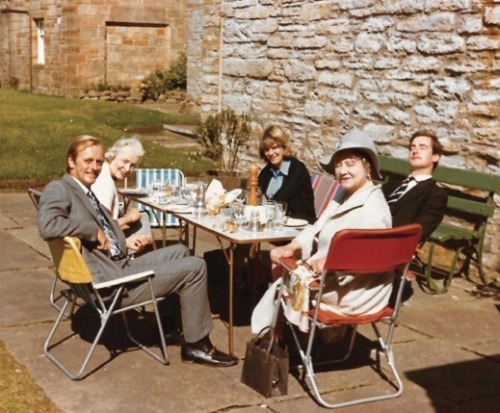 And here is an interesting photo taken at the Castle during the Queen Mother's time. We were told a lot about life at Mey by the tour guide - Philip building the stairs, Margaret never sleeping in "her" bedroom, the daily routine of the Queen Mother. Lots of details in one of my previous posts. Anne stayed overnight just before we visited, as she had duties in the area.